Late 2009 we heard about FAB Defense working on a interesting new PDW System called the KPOS. In Early2010 We attended the Shot Show in the Las Vegas & after we visiting the FAB Booth we were convinced that they were onto something. We placed an initial order & waited. It is hard not to become blasé when you’ve attended a couple International Arms Fares, Shows as we have but occasionally a product really gets your attention as the KPOS did. The KPOS System with the Stock Delpoyed. Firstly the Idea of attaching a stock to a pistol may not be a new one. The Fab Defense KPOS certainly makes a strong argument FAB Defense has bided their time building on the strengths of the original Idea. & producing possibly the best example available today. It is sleek, well thought out and solidly constructed. Let’s take a realistic look at the system & similar systems & what they will do. 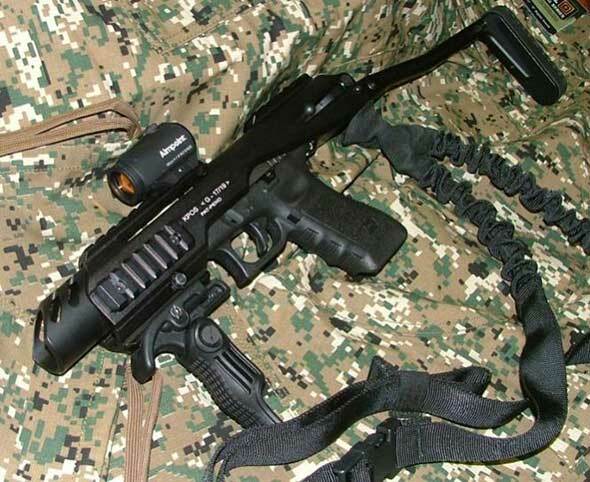 Firstly this is a system to attach a stock to a pistol, Secondly the Rails offer additional mounting platforms for accessories which could already be attached to the gun. Although there are a lot more rails so if in the past you were forced to make a choice between accessory A or B, you now can have them all. Our friends at FAB Defense are a clever & Industrious bunch & We received our first KPOS Samples a couple of months after the Show & everyone who has seen them have been very excited & with good reason. The system has gained interest & momentum.based on this. 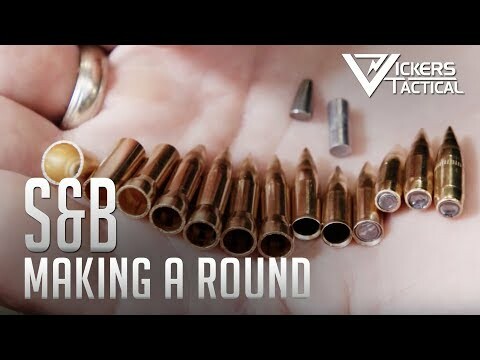 Q: Will it make your handgun more accurate. Q: Will it allow you to fire your Handgun more accurately. A: I believe the answer is to this question would undoubtedly be Yes. As you are now have a more stable firing platform as you are able to effectively shoulder the handgun & have your weak had stabilising the front with a foregrip. 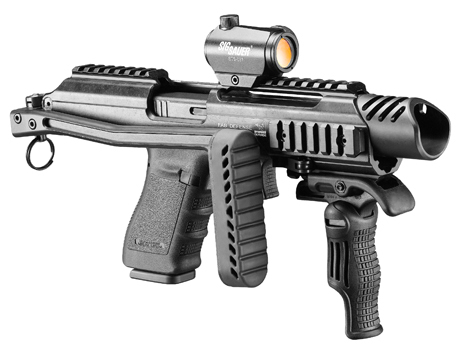 The system fire more quickly especially when paired up with a suitable red dot sight. A: No No No. 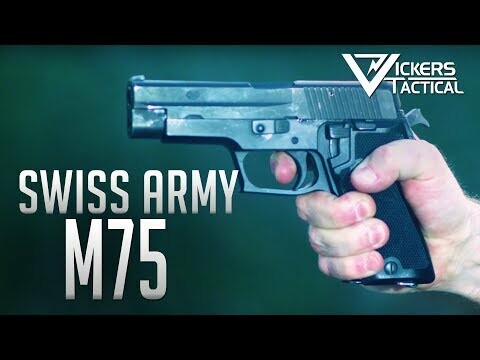 You still have a Semi auto Pistol with the same barrel “ballistic capability” although it can be fired more accurately & quickly. While Plastics and Polymers have their place I believe there is something especially reassuring about a product like the KPOS. As the body is entirely CNC Machined from aircraft grade aluminium. This gives a Rock Solid Sturdy feel to the unit. 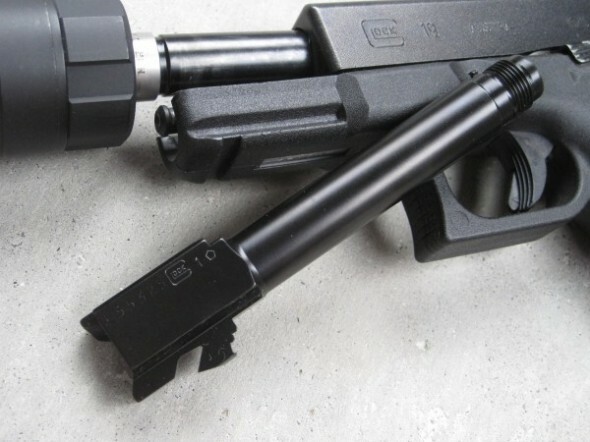 It holds the pistol firmly in place by utilising the pistols accessory rail in the front along with a cam type bolt. The rear of the Pistol is also held in place with an aluminium insert holding the beavertail section of the frame. This is intern held in place by a detented steel cross pin in the rear. The aluminium folding stock also feels extremely sturdy & is nicely finished off with a comfortable non slip 1” thick recoil pad. 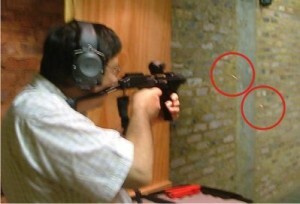 Inserting the handgun into the system is a simple matter & takes approximately 45 Seconds once you have the hang of it. Apart from aircraft grade aluminium construction, Certain Parts like the pivoting rear stock knuckle & from cam arm & bolt are constructed from steel. Adding to the quality and overall durability the unit offers. 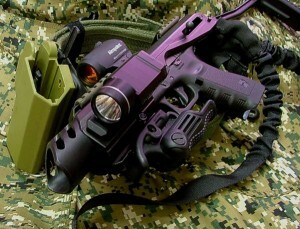 The Pistols original Sights ” In This Case Warren Tactical Fibre sights” can be used with the system. As previously mentioned, the aluminium construction features a sturdy folding stock. The Unit is also supplied as standard with a folding foregip for additional stability, A Single Point Sling & cocking aid ‘Racker” is supplied for loading, all of this in a nice lockable plastic case. Ergonomically the top rail is fairly close to the bore axis which allows for mounting of red dot sights in a fairly low position. 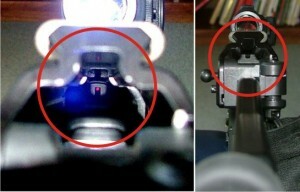 There is also a sight channel that allows for the use of the pistols Original Sights. What can a KPOS fit & what can be fitted to it? 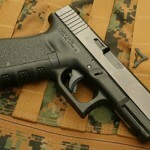 The KPOS System is currently marketed as a Glock accessory & marked for models 19 / 17. The 23 & 22 fall into this category & with the muzzle protector removed the unit would be capable of accepting the longer 34, 35 as well as the discontinued 17L & 24. This being said. More models are in the Pipeline notably for the newer generation Sig P226 & SP2022 Pistols. The unit endowed with enough high quality aluminium picatiny rail to mount any accessories you may have or that you at a later stage may want to mount. “2 sides 1 bottom top etc. 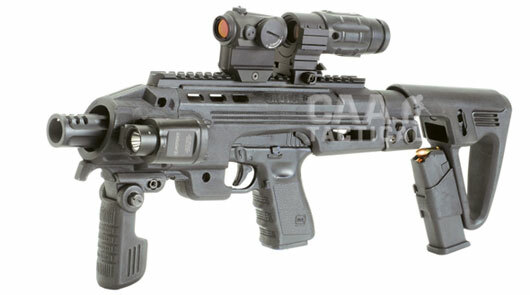 The Top Rail should undoubtedly be used for a red dot or refelex sighting system. A decent Red Dot Sight such as the Aimpoint Micro will enhance the Speed and accuracy of any user. Additional possibilities for the top rail include magnifiers with twist off & flip away mounts, CEU’s etc. 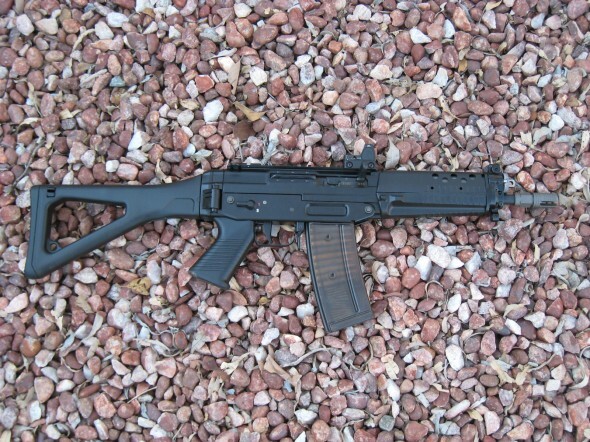 The Bottom rail is occupied by the Fab Folding Foregrip which is supplied as standard & works well. 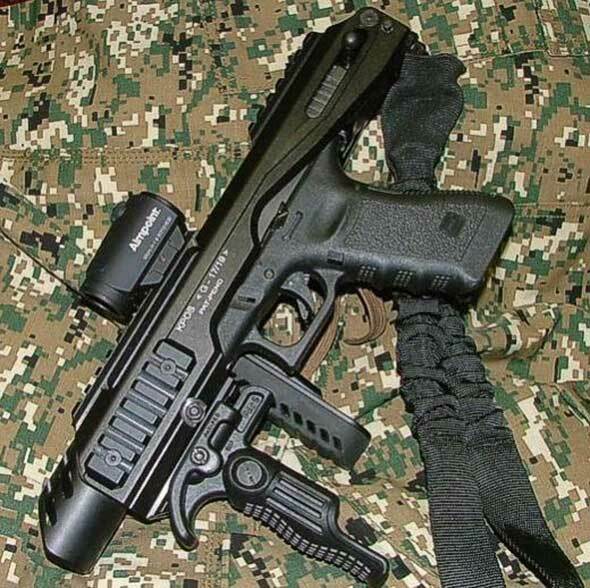 This could easily be removed and be replaced with your personal choice of foregrip, torch or accessory. The 2 side rails could be used for lighting or lasers. On the accessory front you are limited only by your imagination application and budget. 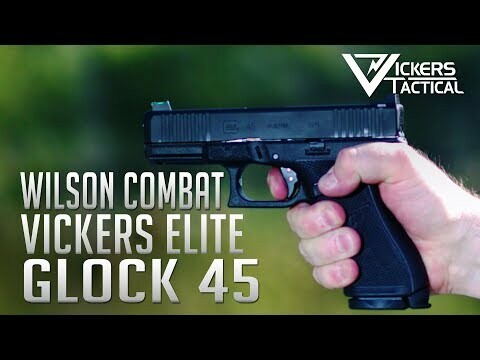 Application of the system could be for Sport Shooting, General Range Fun, Plinking, Training, Home Defence when paired up with your dedicated self defence Pistol and for Security, Police & Military use. It goes without saying that users of the system for any of the above applications would find it beneficial being able to shoot faster & more accurately. The Installation as previously mentioned is fairly quick and removing the pistol is to. Your handgun can be carried daily in your regular holster & set up with the KPOS as the need arises. We purchased a second hand Glock 17 for this purpose & after installing the cocking lever adaptor & mounting an Aimpoint Micro sight. It was off to our local indoor shooting range. We didn’t bother to test fire our “new” second hand Pistol before installing the KPOS, but proceeded to zero the Aimpoint sight. 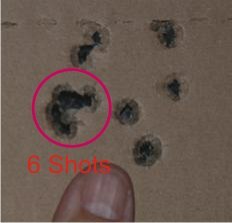 Using PMP 115Gr FMJ we were truly impressed accuracy. Some of the other ammo we had on hand did not fair as well in the accuracy department. 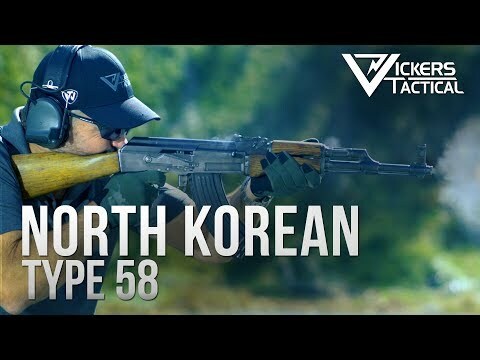 The test unit functioned flawlessly & were happy to report that we experienced no reliability Issues at all with the approximately 150 rounds fired. Once We felt a little more familiar we tried a couple of drills shouldering & firing 2 shots as quickly as possible this consistently resulted in 2 A’s on the IPSC Target. A question we had been asked was that if the pistol was removed & reinserted into the KPOS how would the red dot sight Zero be affected. With the Iron Sights “which are visible while mounted in the system” there was no change & with the red dot, we noticed a slight but hardly significant change. The picture of the group is rapid fire @ 15 Meters 6 Shots of the 12 fired are touching. The KPOS Should find favour with a variety of users from Sport Shooters to Security applications. Cool product. I am new on this site so please excuse me if I ask stupid questions. I have not been shooting for more than ten years and last week I took my old CZ to a shooting range. Its like riding a bicycle, you never forget how to do it, and I can also add that the CZ handled sweetly, even if is an old pistol. My qusetion about this product is the following. How wise is it to attach a flashlight to your weapon? Does this not present an easier target for the criminal? My qusetion about this product is the following. How wise is it to attach a flashlight to your weapon? Does this not present an easier target for the criminal ? I don’t use the torch, my vampire eyes work just fine. Looks awesome! can i get hold of one in South Africa or do i need to import one? 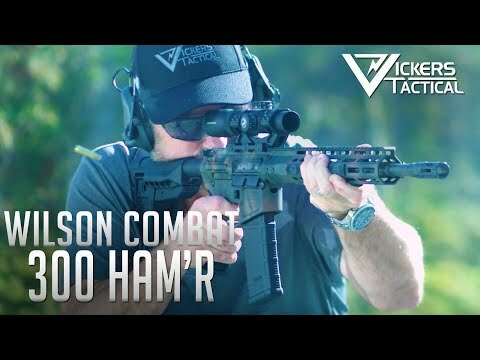 « Is this Cool or What – Smith and Wesson M&P15-22P?